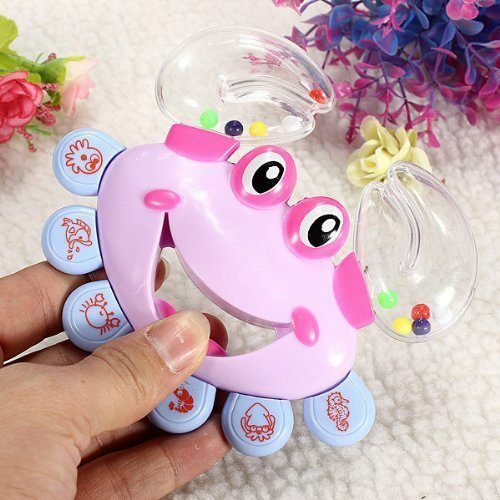 Crab Shaped Baby Rattle Only $2.23! You are here: Home / Great Deals / Amazon Deals / Crab Shaped Baby Rattle Only $2.23! Head over to Amazon and get the Crab Shaped Baby Rattle for only $2.23! Even better, it will ship for FREE! Grab this to add to a baby shower gift or baby’s Christmas stocking.